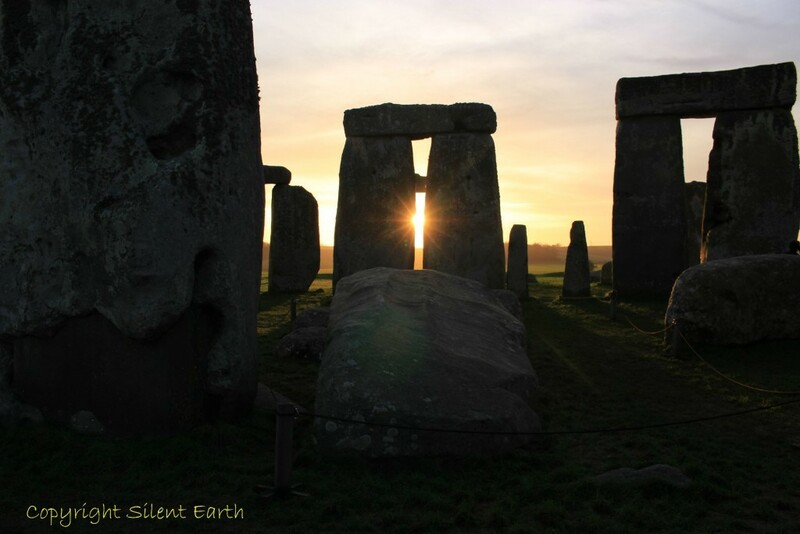 On the morning of Monday 28 December I witnessed sunrise and moonset at Stonehenge, Amesbury, Wiltshire. 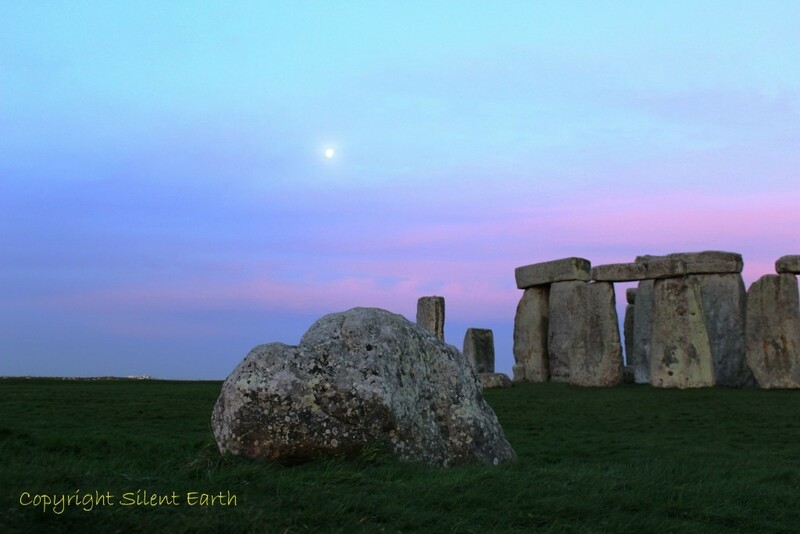 I took the above photograph of an ethereal waning gibbous moon over Stonehenge setting to the west on arrival. This was a few days after the lunar minimum standstill point, which won’t happen for another 18.61 years. The preceding days were typical of the often relentless mild grey gloom of what now forms much of an English winter here in southern England. Driving up in the dark from Bournemouth early that morning, as soon as I was north of Breamore I could see from the first inkling of light in a perfectly clear sky that the sunrise that morning might be something special. I arrived at the Stonehenge Visitor Centre well before dawn colours and light from the east were flooding through the Visitor Centre itself, transforming the building into a modern day temple of light. Unfortunately I did not stop on the road to the parking area to take what would have been an incredible photograph of this vision offered by nature. 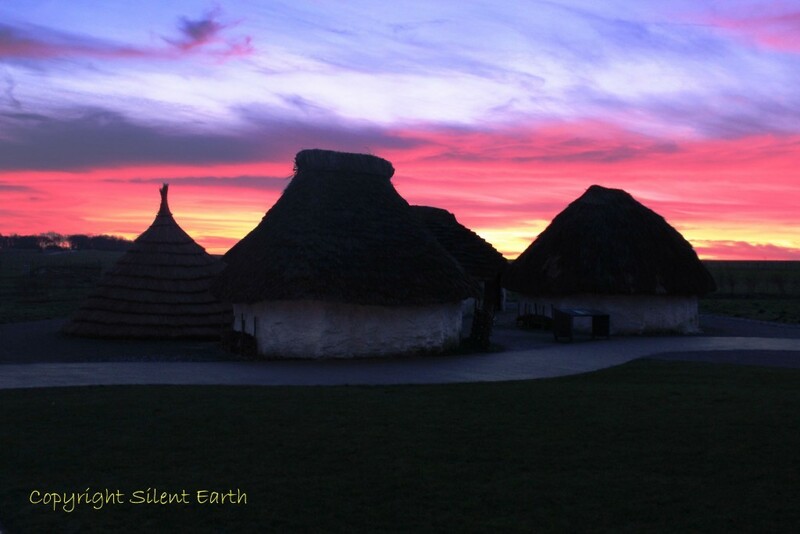 Below is a photograph I took on arrival, of the Neolithic houses English Heritage have constructed to the east of the Visitor Centre. ‘The recreated houses are closely based on the remains of Neolithic houses discovered during excavations in 2006 and 2007 at Durrington Walls, a large ceremonial earthwork enclosure, just over a mile to the northeast of Stonehenge. 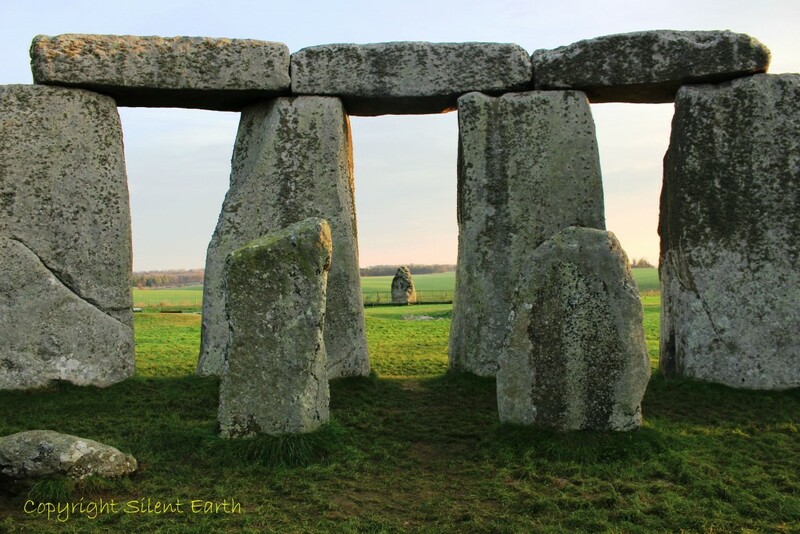 Radiocarbon dating showed that these buildings were built at around the same time as the large sarsen stones were being put up at Stonehenge, in approximately 2,500 BC’ – English Heritage. More on the Neolithic houses here. On arrival at the monument before sunrise, as often seems the case due to its exposed location on Salisbury Plain, it felt a degree or two colder (my flip-flops on the dewy morning grass may have had a bearing on this too). ‘The short sides of the Station Stone rectangle are aligned to the primary solstitial axis (summer sunrise to winter sunset). 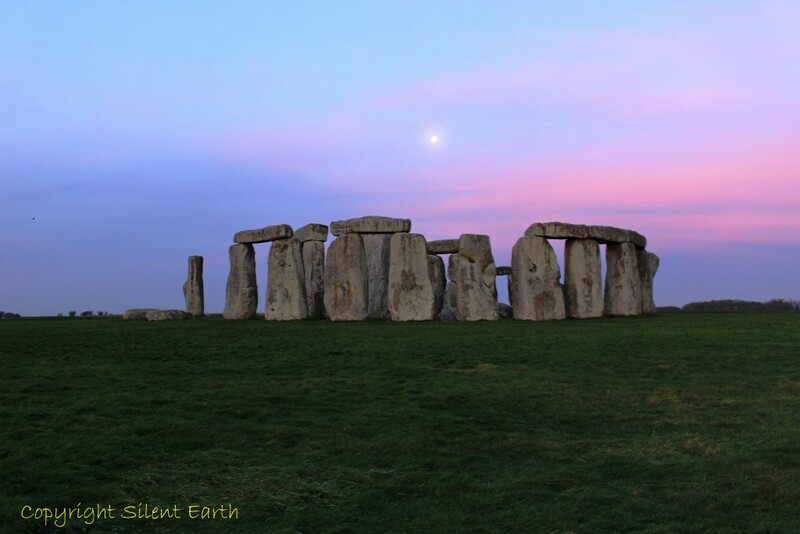 The long sides are aligned to the southernmost possible moonrise and northernmost possible moonset during the year of the Major Lunar Standstill, which occurs every 18.61 years.’ – The Stones of Stonehenge, more here). Peter Newham was the first person to identify the lunar alignments of the Station Stone rectangle. 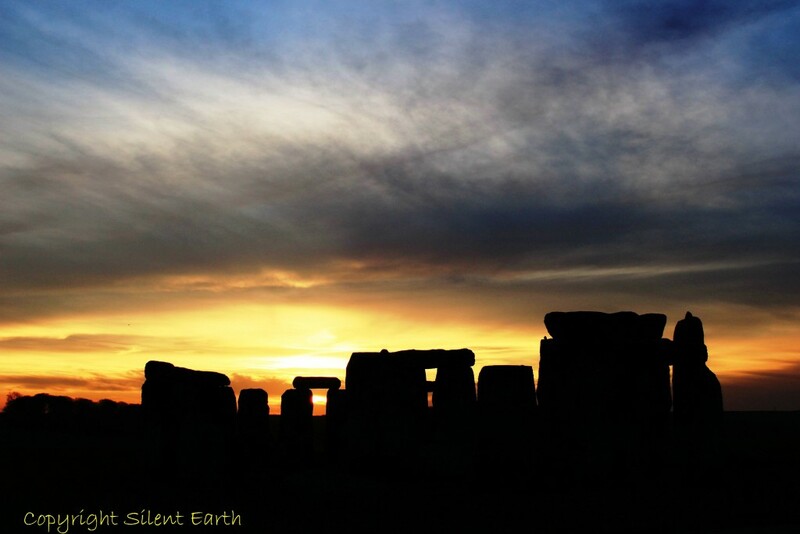 Below: moving closer to the stones, the sky to the east was transforming into burning gold, hinting at the imminent first rising of the sun above the horizon. ‘It may safely be granted that as a rule, prehistoric stone circles were erected round a certain central or quasi-central spot which for some reason or another their builders desired to signalize as possessing a peculiar significance.’ – L.G. Sebastian Evans, From Stonehenge to Avebury and Beyond, 1903. Below: Then sunrise itself from inside the inner sanctum of the ‘sun temple’, always a special moment. 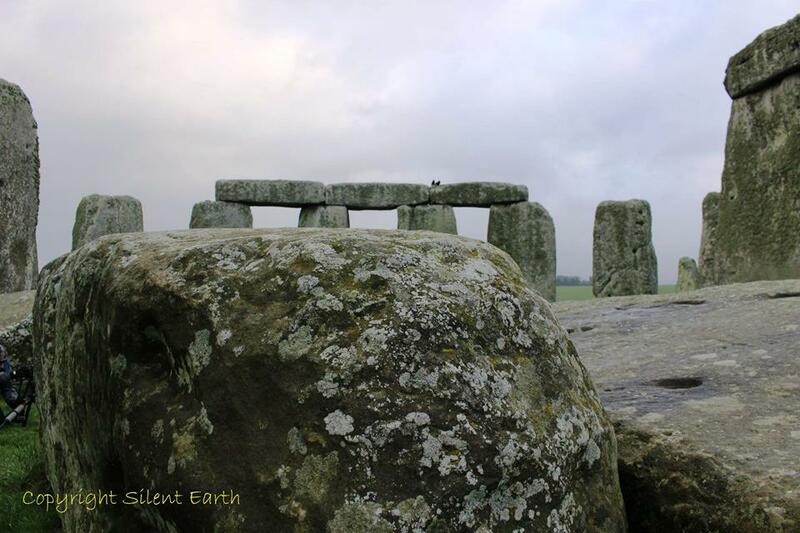 ‘In its presence within those silent circles one feels the great past all around. One can almost see and hear … until one tries to imagine precisely what sights and what sounds animated that place, what manner of men moved there, in that inconceivably remote past when it was new’ – Gerald Hawkins. 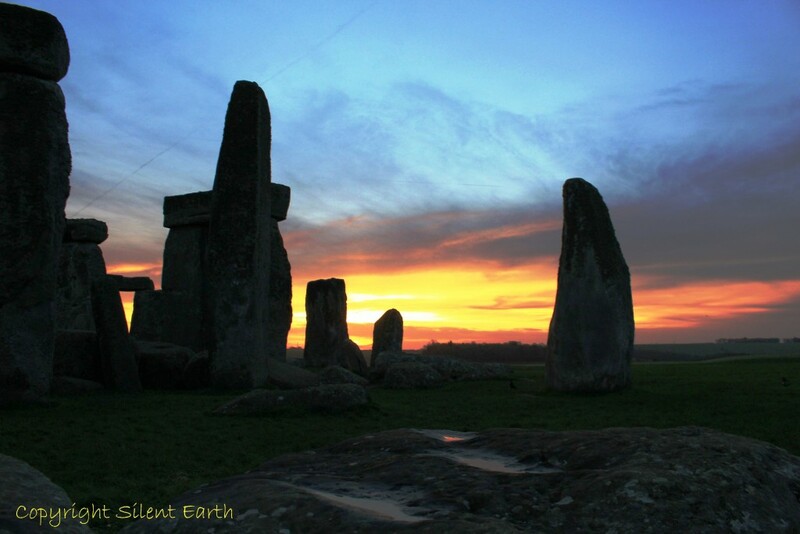 ‘There can be no doubt that Stonehenge was an observatory; the impartial mathematics of probability and the celestial sphere are on my side’ – Gerald Hawkins. From inside Stonehenge looking out, the stones seem even more immense and the feat achieved in their construction somehow even more incredible than from outside looking in. ‘The stones that compose it are really stupendous, their height, breadths and thickness are enormous, and to see so many of them plac’d together, in a nice and critical figure, with exactness; to consider, as it were, not a pillar of one stone, but a whole wall, a side, an end of a temple of one stone, to view them curiously, creates such a motion in the mind, which words can’t express.’ – William Stukeley, 1740. ‘For more than a thousand years, these hoary witnesses of antiquity have been examined, cross-examined and re-examined by enquirers eager to unravel the mysteries of their existence, but the response elicited has been little more than an echo of the preconceived speculations of their questioners.’ – L.G. Sebastian Evans, From Stonehenge to Avebury and Beyond, 1903. © Silent Earth 2014 - 2019. All Rights Reserved.